The fixed income city dwellers comprising both middle and lower middle class households are in real trouble to tackle the rising house rent in Dhaka city. Most landlords, in the recent years, have increased their rentals in the excuse of increase in price of the essential commodities, construction materials, holding tax and cost of the utility services. Bangladesh has almost become a city state with Dhaka as its capital, in which the house rent has increased nearly 285 per cent during the last 18 years, according to a survey conducted by the Consumers' Association of Bangladesh (CAB). A jump over 23 per cent in house rent was witnessed in 1991 and the trend continued later on. It was increased by 17.4 per cent in 2001, 13.49 per cent in 2002, 8.4 per cent in 2003, 9.96 per cent in 2004, 7.89 per cent in 2005 and 14.14 per cent in 2006. Further it has increased average by 21.48 per cent only in 2007. Separately in the same year, 21.68 per cent has increased for building accommodation, 18.57 per cent for semi-building accommodation, 23.33 per cent for tin shed hut, 26.98 per cent for mess accommodation and 16.88 per cent for slum dwellings. On an average, nearly 50 per cent of monthly income of a household is spent on house rent. However, ideally it should not exceed 20 per cent of income of any household. The high influx of population for the purpose of employment in Dhaka city has created the disparity between demand and supply, which has in fact caused increase in house rent. There is no specific statistics for Dhaka city regarding total number of landlords as well as tenants. But there are around 0.2 million holdings located in Dhaka City Corporation (DCC) area. Almost 90 per cent of about 15 million people in Dhaka city make their living on tenancy. The growing influx of people has resulted in an opportunity to the landlords to increase the house rent due to shortage of houses. The prerogative enjoyed by the landlords due to lack of legislative provision also allows them to develop a cartel to increase house rent. The fixed and low income households are the worst sufferer affected by the frequent increase in house rent. But there is no control of house rent in absence of effective government measures. There is absolutely no authority to monitor the growth of house rent. Also there is no effective law to protect the rights of the tenants. In the website of DCC, monthly house rent rate of 10 different zones are shown, but these are not implemented on ground. Rent Controller system was first introduced in this subcontinent during British rule. Rent Control Act was enacted for the first time in 1943. It was amended in 1953 in the then East Bengal of united Pakistan. As a continuation to this, the latest amendment was made back in 1991, which is known as Premises Rent Control Act 1991. There are total 36 sections in this act. As per the law, house rent should be assessed at 15 per cent of the total cost of land and construction for a premise, which is in fact ignored in most of the cases. The law also says that the landlord cannot increase the rent unless the house has been remodeled or renovated. Increase of house rent should not be based on only cost of land and construction of house, but should also include the depreciation value of the house. It should be determined on the basis of location, space, amenities and present market price; and also separately for commercial and residential areas. In India, house rent is charged based on standard provision devised by the local authority. In Delhi it is to be maximum 10 per cent of construction cost and market price of land based on historical values, not as per current market value. There rent also decreases according to the life of property. In Pakistan it is practiced as per mutual agreement of both landlords and tenants at the interval of every three years of tenancy. In the USA, the Neighborhood Councils settle any dispute related to house rent between landlords and tenants following the process of alternative dispute resolution (ADR). Those Councils act as innovative forums for all community stakeholders as quasi city entities that affect the lives of the citizen. The existing laws related to house rent contain lot of inconsistencies in terms of implementations. Both landlords and tenants are ignorant about the law in general. The law is biased towards the landlords in particular. The tenants are vulnerable to various exploitations made by the landlords in absence of effective rent control mechanism. There is no effective body to protect the rights of the tenants. 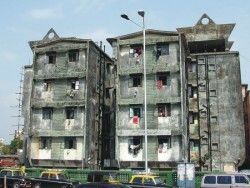 Landlords in Dhaka city increase house rent at certain interval. There is no specific law as to when and to what extent it can be increased. Any rent related case is to be finalized within three months in the Court of Rent Controller, but it does not happen as such. In practice the Assistant Judges of any area are appointed as ex-officio Rent Controller. The law also mandates both landlords and tenants to sign a written house rent agreement. But many landlords do not comply with such provision. Some of them, among those who comply, do not provide original deed of agreement for tenancy to the tenants; instead they are provided with a photocopy. The tenants can not avail any legal protection from any court of law in absence of original deed agreement as such photocopy is not accepted in the court. Many landlords do not provide appropriate money receipt upon receipt of rent. Few do not provide original utility bills, rather sometime avail undue advantages to impose personal consumption of utilities on to the tenants. Some even do not repair the fittings on nonfunctioning and perform periodical maintenance. Most landlords demand a substantial amount of advance money as security deposit from the tenants before renting off a house. But legal provision allows only receiving rent of one month in advance. Even after paying such advance, if in any case the tenant fails to pay one month rent in time within seven days of the scheduled date, the court declares the tenant as rent defaulter and passes order to pay the rent within next 15 days. If it is not paid, then the court asks the law enforcing agency to take appropriate action so that the tenant vacate the house. In case the rent seems to be more to the tenant, the court will entertain this complaint only within six months of occupying the house. House rent is to be made part of Consumers' Protection Act. House constructed for residential purpose should not be allowed to rent for commercial purpose. The tenants must be legally empowered and their rights are specifically mentioned and ensured. There must be a strong regulatory body to monitor the affairs related to house rent. An effective system must be developed immediately to solve the problem of mass people. There must be a comprehensive system in determining house rent, in which both landlords and tenants will find themselves in a win-win situation. The writer is legal expert and author of many books .